New details have emerged about the Toyota Supra successor set to come out in the following years. Co-developed with BMW, Toyota's new Supra design still hasn't been finalized but Japan's Holiday Auto magazine says very few styling cues will be borrowed from the FT-1 concept pictured here. BMW will allegedly be in charge of providing the car's engine, a 4-cylinder direct-injection 2.0-liter turbocharged gasoline unit working with a gearbox also supplied by the Bavarians. As previously rumored, the conventional engine will be teamed up with Toyota's supercapacitor technology which will make the reinvented Supra a plug-in hybrid capable of providing a combined output of 354 PS (260 kW). The model will be available exclusively with this hardware setup which will encompass three electric motors developed by Toyota and built by BMW, with two of them mounted at the front and featuring a torque vectoring mechanism while a third motor will be installed in the rear. Initially, it was believed the all-new Supra would have a rear-wheel drive layout but as it turns out the car will likely pack an AWD arrangement with power being sent through a new dual-clutch automated manual transmission. The vehicle has a targeted curb weight of less than 1,400 kg (3,086 lbs) and will obviously be positioned above the GT86 and should cost considerably more. 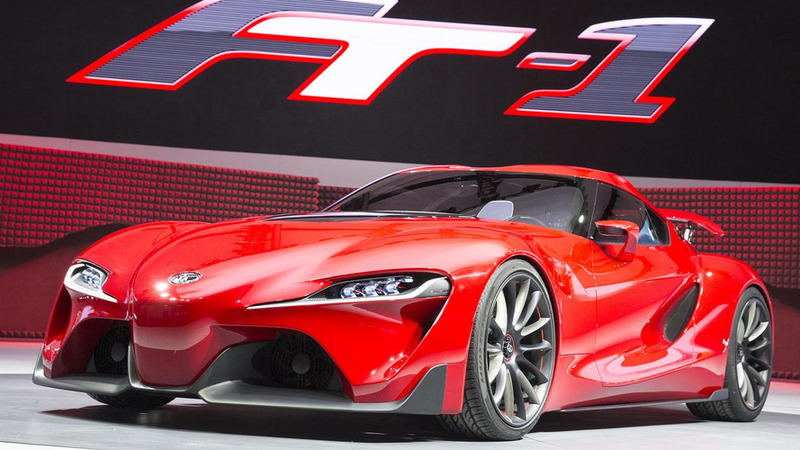 The Toyota Supra reboot is expected to come out within the next three years.